Island Time RV is a family owned and operated Vancouver Island RV rental company. Inspired by the wonderful playground we live in; we have created Island Time RV to bring the Vancouver Island experience to you. We deliver, setup and provide the best quality luxury RV rentals for your getaway. Located in Nanaimo British Columbia, we service an amazing selection of locations so you have plenty of choices to have an amazing vacation, Island Time style! At Island Time RV we want to make your Island Experience as hassle free as possible. 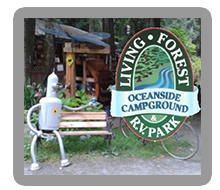 Simply choose from one of our top 3 RV park locations and Island Time RV will arrange your campsite booking. We will assure you have the most suitable RV trailer site, confirm your booking dates and coordinate your trailer rental. Let us take care of all the details and make your vacation planning worry free. Check for availability and give us a ring at (250)-585-2501 or send us a note at info@islandtimerv.ca with your chosen location and travel dates and we will take care of the rest. Island Time RV provides travel trailer rental, delivery and setup to RV parks and campgrounds located on Vancouver Island, British Columbia. Areas serviced include Nanaimo, Parksville, Qualicum Beach, Chemainus and Crofton. 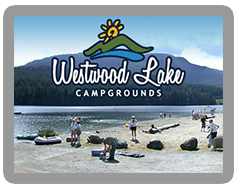 Please see our service areas page for links to RV parks and campgrounds to make your reservation. Visit our rental policy page for reservation and renting details and our fun & attractions page for things to see and do. All units come fully equipped. Just bring your family and bedding we do the rest. A full list of items included with the rental unit is available on our supplies provided page. Island Time RV delivers and sets up your RV trailer at your chosen destination. Ready for your Vancouver Island adventure, stocked and equipped with all the basic necessities, Island Time RV makes it easy to get out there and play. Whether you are traveling abroad or are a local resident we can supply your RV camping needs. Simply book your destination, book your RV trailer, pick your options and we take care of the rest! With all of the natural beauty and attractions Vancouver Island has to offer, your getaway is destined to be an unforgettable experience! From whale watching, to hiking, to taking in the attractions or simply exploring the Island, your adventure is loaded with so many possibilities. At Island Time RV, we are happy to make suggestions and recommendations to some of the most interesting things to do. We have also provided links to some of our favourite attractions, so take a look and let the planning begin. Vancouver Island is full of amazing and interesting things to do. Whether you are into family fun, daily excursions, whale watching, boating, fishing, golfing, exploration, recreation or simply rest and relaxation, Vancouver Island has something for everybody! Let Island Time RV provide you with an RV getaway at your choice destination where you can build memories that you will talk about for a lifetime. Self-tow units are not available.